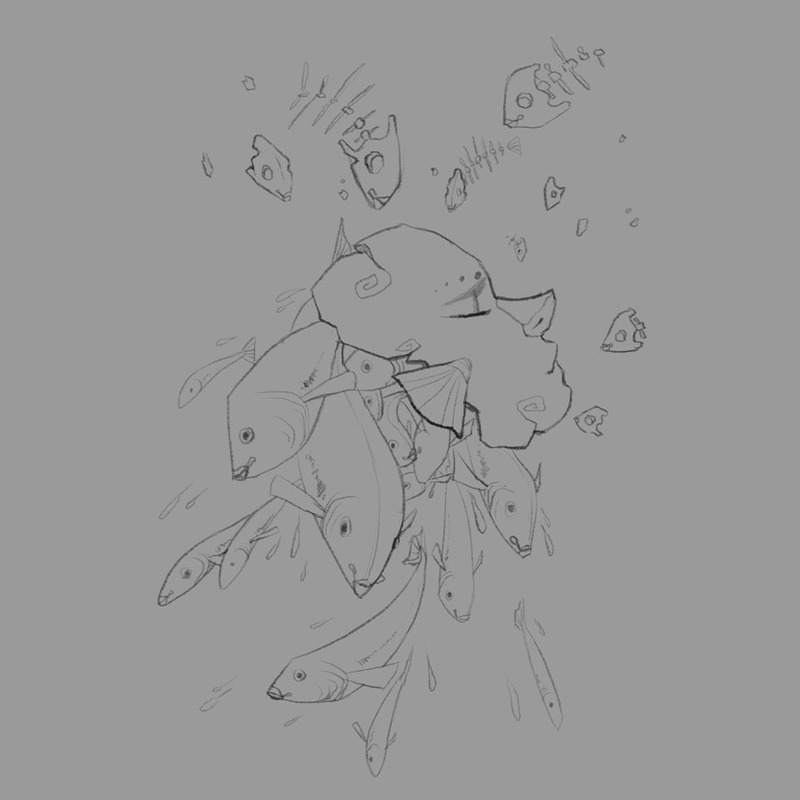 Very loose sketch this time, but it gets the idea across and general placement of the mask and fish. A refined, more thought out version of my first sketch. I draw out the exact placement of all the fish and shape of the mask. Very few things are tweaked later. I know I want the fish darker than the mask, so in this stage I make sure to do so. I also make the fish heads a bit darker than their bodies as well. I add some white areas to things like the lips and mask, and some highlights down the bodies of the fish. More darks and lights are added. I also go back and add a darker outline around the fish so make them stand out more. Some minor changes to the fish shapes are made. More refining was done, mainly to the mask. I lay down some blue and pink colors on a new layer above all the other layers. 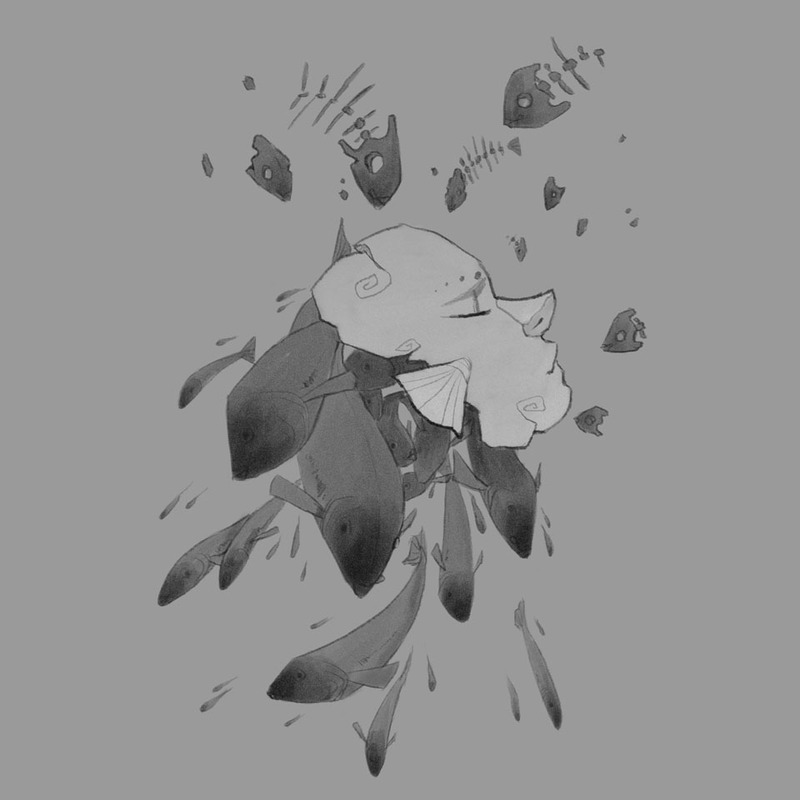 I set the color layer mode to Color, and I also added some dark flowing shapes intermingling with the fish. Values are tweaked in this stage one last time as well.